Weathered Wood Bathroom Vanity 24" - 72"
Woodland Creek's Barnwood Furniture has a rustic design that has been taken to a whole new Exclusive level. The classic design is handcrafted to perfection with genuine reclaimed barn timbers and beams. This collection uses 100-year-old Barn beams and reclaimed pine timbers that are re-fashioned into high-end rustic designs that are sure to be enjoyed for generations. We only use all barnwood that is reclaimed from 100+ year old barns. 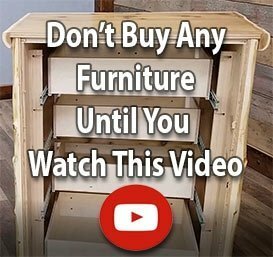 So your barnwood bathroom furniture is complete with knots, nail holes, rough saw marks, and all that makes authentic reclaimed furniture so unique and genuine. Rustic furniture isn’t just for the living room or dining room any longer. 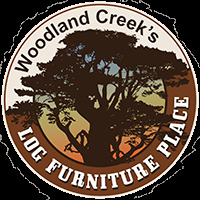 In fact, each barnwood furniture rustic vanity from Woodland Creek’s is guaranteed to pack infinitely more visual appeal than the kind you’d find at a home supply warehouse. Plus, Woodland Creek’s handcrafts barnwood linen closets, toilet toppers and log towel bars to help give your wash room a cohesive, country furniture look.